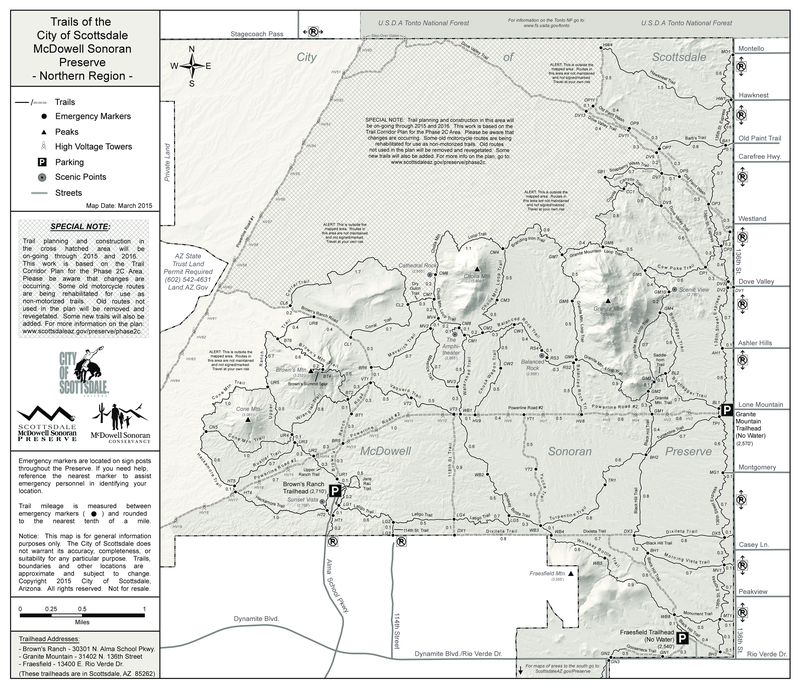 The August 2015 City of Scottsdale map of the Northern Region of the McDowell Sonoran Preserve established Hawknest Trail as one of the longer continuous segments in the MSP. Please note this trail has no letter "S" (as in HawkSnest) that might be confused with the Phoenix Preserve trail system. The trail runs almost the outer perimeter of the Preserve and has many lovely little ups and downs along the way with views into the Tonto National Forest to the north and the major mountains (Brown's, Cone, Cholla, Granite) to the south. HW1 first trail marker is at the intersection of 136th Street and Hawknest Road - but there is NO parking here. HW28 final trail marker intersections with Brown's Ranch Road. 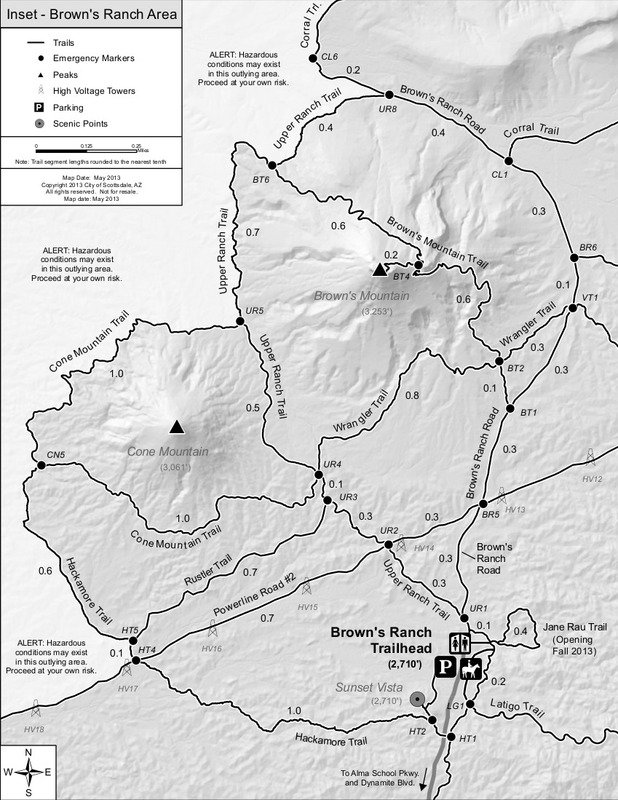 Parking to access Hawknest Trail could be at Brown's Ranch Trailhead or Granite Mountain Trailhead. 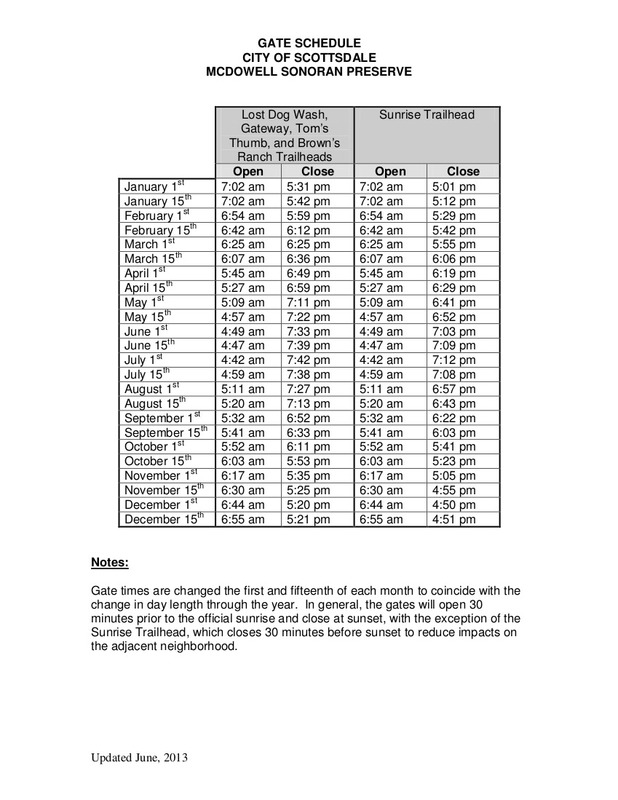 Hawknest intersects with several trails for good loops: Buckshot Trail, Broken Spoke Trail, Stachecoach Trail, The Divide Trail, Dove Valley trail, High Desert trail, and 136th Street Express Trail. There are no mile markers on any of the signs in this far north part of the McDowell Sonoran Preserve -- be prepared with plenty of water since the only source is at Brown's Ranch Trailhead. This trail is very difficult to access by foot unless you have time for a long day hike, but mountain bikers will be in heaven using this trail to connect with the many other new trails in Area 2C. 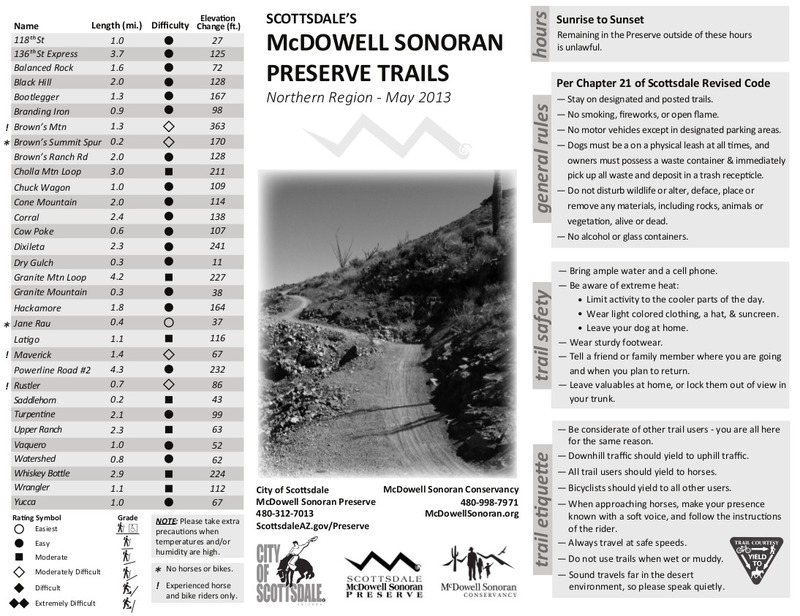 Scottsdale citizens have taxed themselves since 1994, and now the McDowell Sonoran Preserve encompasses 1/3rd of the land mass of Scottsdale with 160+ miles of trails and 30,000+ total acres. 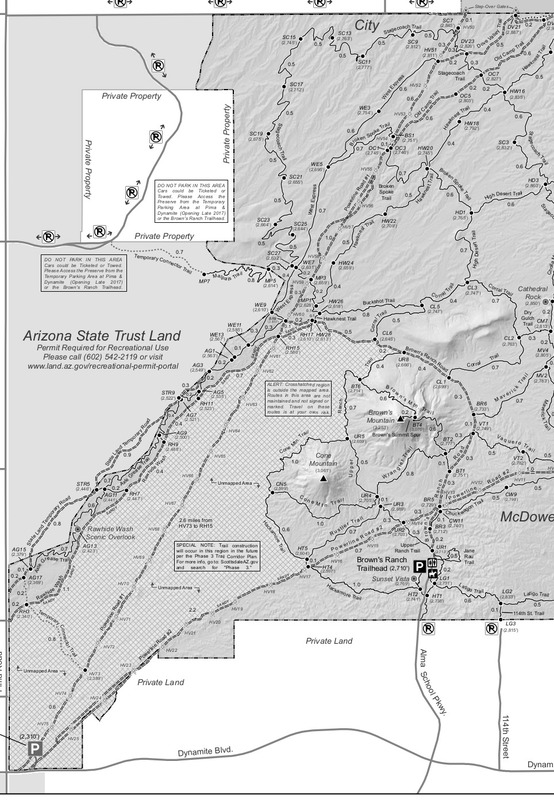 Alternate Access: Could also access Hawknest Trail from Granite Mountain Trailhead (NO water!) 31402 N 136th Street.